This week Disney Pixar’s ‘Cars 3’ comes out in theatres June 16th, 2017 here in Canada. 11 years after the release of the first ‘Cars’ Movie back in 2006. This is the third instalment to the Cars franchise with Owen Wilson’s Lightning McQueen as the protagonist. We’re very excited to see how this movie will play on our heartstrings. From the trailers, it seems that this installation in the series is a bit darker and caters to fans of the original that have matured over the 11 year span. From the movie synopsis, it seems as though Lightning will face the challenges of ageing and being left behind technologically by a “new generation of blazing-fast racers”. 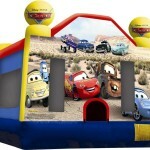 Want to know some fun facts about Disney Cars? Scroll down to read more. 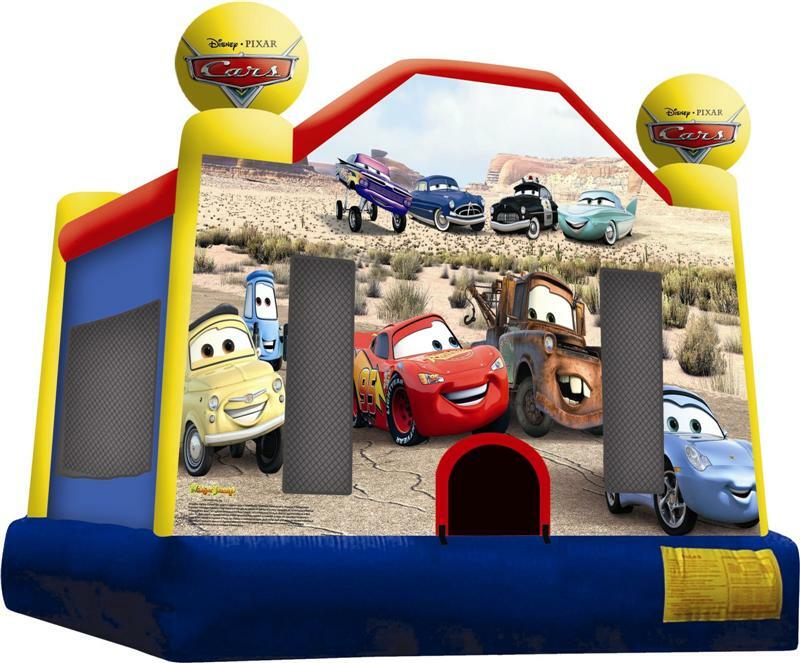 Plan a Cars themed party. 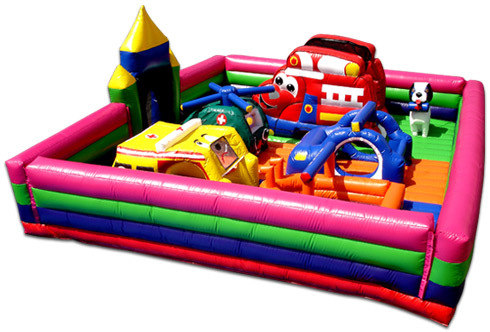 Our inventory has inflatable units to get you revved up. We have a Disney Cars Bouncer. Perfect for children ages 4 -12. 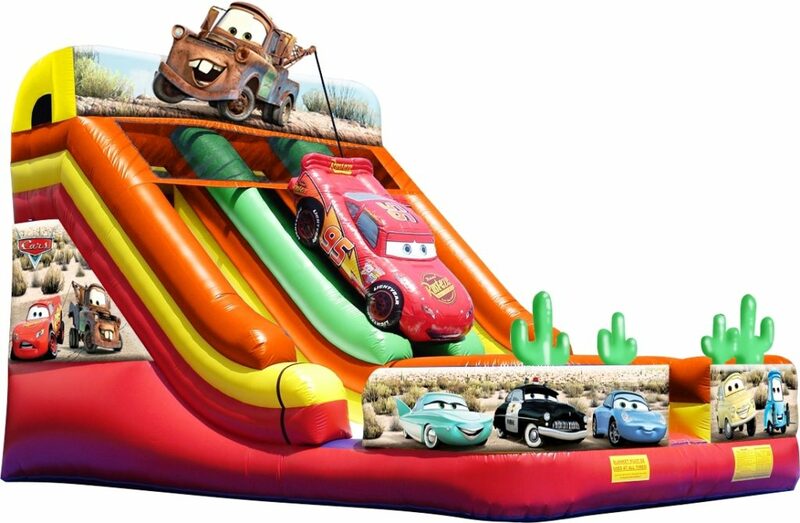 A 22 foot tall Disney Cars Dual Lane Slide for the same age group. 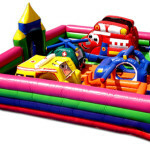 For Toddlers we have our Emergency Crew Toddler Unit with animated emergency vehicles and our Monter Truck ATV Panel that can go onto any of our Themed Units to add variety to your event. We’ve rounded up some fun facts about the Disney Cars Movie Franchise. 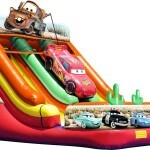 Cars is the best selling merchandise franchise world wide only after Star Wars. The first trailer for the movie was considered to be “too dark” and traumatised many child fans. This is the second Pixar series to have a third instalment. The first was Toy Story. All the Cars movies came out the same years as Pirates of the Caribbean movies. 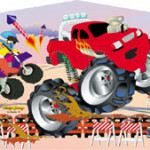 Looking forward to Cars 3? Let us know on Facebook.